Your home’s interior lighting make the indoors a vibrant and pleasant place to spend time. Sometimes, though, homeowners notice that they need additional lighting in certain areas of their home. Perhaps you’ve rearranged your furniture and realized that you need more lighting in a certain area of a room, or you may need more lights in a naturally dark space like a garage or basement. Installing new light fixtures involves a series of steps like turning off power to the applicable areas of your home, mounting the fixture, and ensuring that the wiring is properly connected. Some homeowners struggle with effectively wiring new lighting fixtures or accessing their ceiling with a ladder. If this is the case, you can give Sears Handyman Services a call to schedule light fixture installation services. Our technicians know how to install lighting safely and effectively, so you won’t have to climb ladders and tamper with electrical wiring. Sometimes home lighting fixtures break for no apparent reason. You may have changed the bulb and flipped your circuit breaker but to no avail. If you’re having trouble getting your lighting to work and can’t figure out the cause of the problem, give a Sears Handyman a call. Our technician will examine your lighting fixture for observable problems, removing the fixture if necessary. 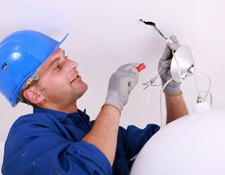 If our technician determines that your lighting fixture is broken, he can install a new one. Highly desirable in homes, recessed lighting often adds a look of elegance to a noticeable area like a kitchen or family room. 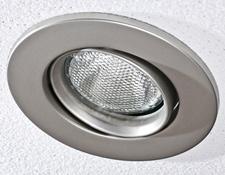 Recessed lighting fixtures are affixed within ceilings, backdrop, or crown molding and emit light without directly being seen. 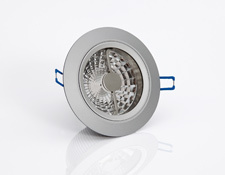 Unlike standard lightbulbs, recessed lighting bulbs are concealed within the wall or ceiling, creating a pleasant lighting effect without being noticeable. For the modern appeal that recessed lighting features provide, contact a Sears Handyman today about recessed lighting installation. 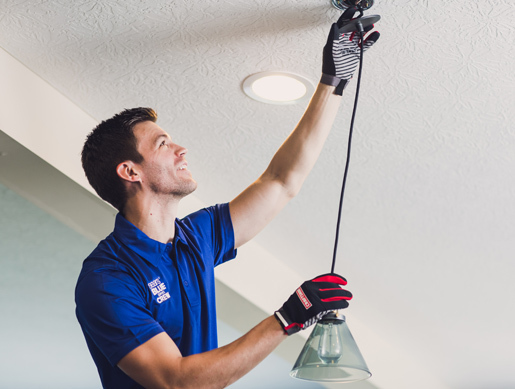 Our technicians can discuss the best strategy for installing recessed lighting in the rooms you prefer, and we can schedule appointments that suit your schedule. With recessed lighting fixtures installed by a Sears Handyman, your home will enjoy a new touch of elegance that modern lighting provides. In recent years, LED (“light-emitting diode”) lighting has become extremely popular for homes, businesses, and artistic installations. LED lights are also found in televisions, clocks, traffic lights, phone keypads, and several other common devices. Hundreds of tiny lightbulbs make up most LED lighting displays; these lightbulbs don’t feature a filament, so they won’t burn out or risk getting very hot. LEDs are both more durable and more efficient than conventional lights. For these and other reasons, LED lights have gained a wide popularity in recent years. With LED lighting, the possibilities for decoration and lighting are practically endless. Many homeowners use LED lights in several areas of the home, both inside and out. LED lights can be installed in practically any location and programmed to emit colors that homeowners prefer. Basically, the only limit is your imagination. If you have a design in mind and need help with LED installation, give a Sears Handyman a call today to discuss installation options. Our technician will work with you to transform your home lighting arrangement to give your home an updated, modern look with LED lights.